Each time RealSelf wins an award the same thought goes through my mind, “Woo hoo!” accompanied by a small celebratory jump. I lead the Recruiting team here so naturally I’m excited at what these awards can do for our employer brand. It’s true, these awards look great on our careers page and as badges in our email signatures, but what else does it mean to us? Beyond employer branding, being listed as a top place to work alongside so many reputable other companies is truly an honor. It means that our employees believe in the work they’re doing, they’re behind our mission, they feel heard, they appreciate the benefits that are offered and the growth opportunities we can provide them. These awards are often times the way that candidates find RealSelf, too! I can’t express how excited we get as recruiters when a candidate tells us they learned about our company from the newest “Best Places to Work” awards list. 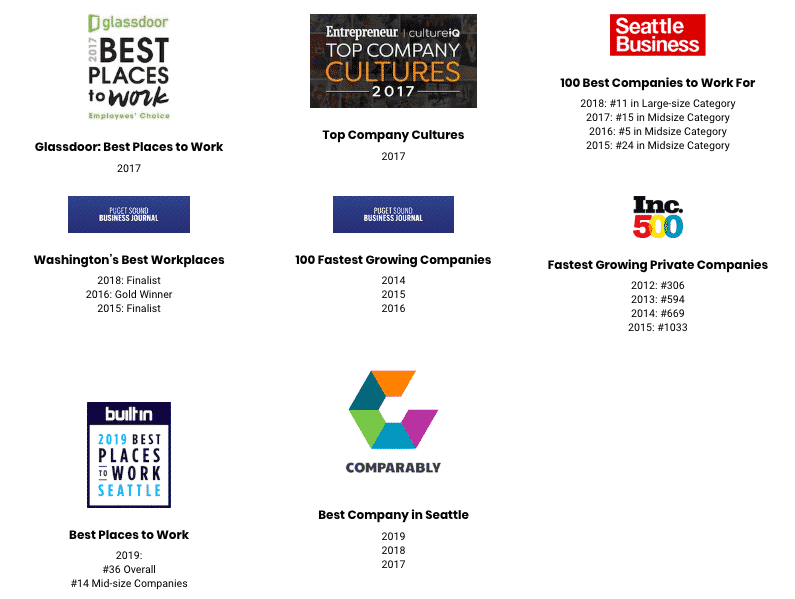 Most recently, RealSelf was mentioned in USA Today for winning the 2019 Comparably Award for Best Company in Seattle. It truly means so much to be listed among some of the most incredible companies of our time. 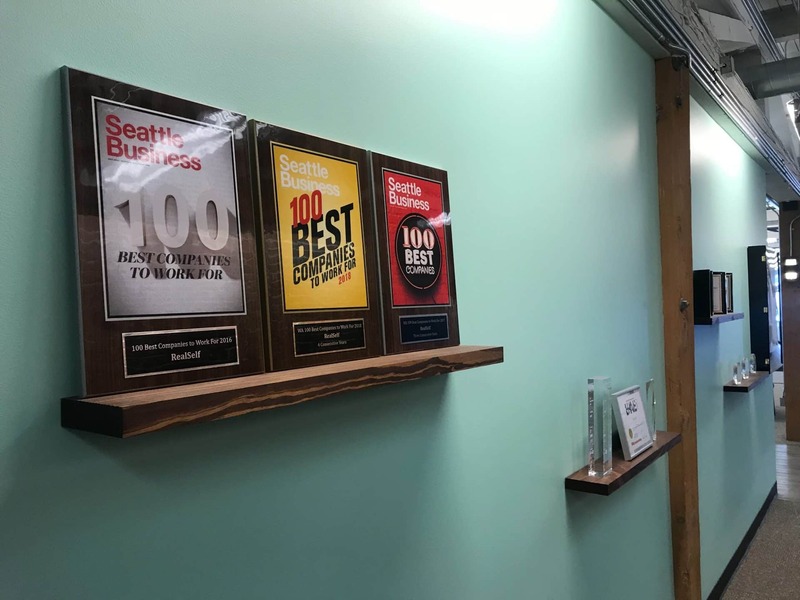 We proudly display each and every award we have ever won (seriously, we’ll need more shelving soon) in the front of our office. These plaques greet me every morning when I come in and serve as reminders of how hard we work to serve our employees. While winning awards is certainly not the driving force behind ensuring RealSelf offers an exceptional experience for its employees, it definitely highlights we are on the right track.